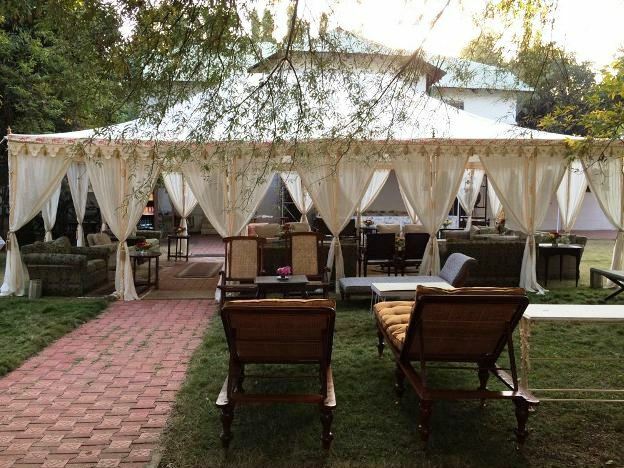 The Large and Majestic Hava Mahal Tents are also better known as the Grand Maharaja Tent and Maharaja Tents. We make these Tents on Poles as well as Metal Frames. 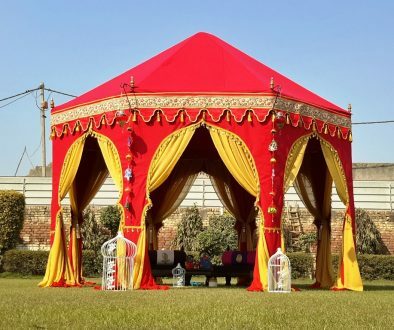 The Pole Maharaja tents have two or three or four Center Standing poles, depending on the size of the Large Maharaja Tent. 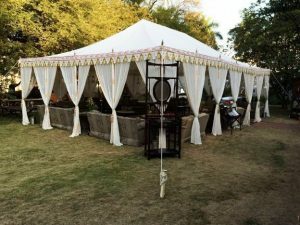 The Frame Maharaja Tent has NO center poles, hence you have the entire inner area for unrestricted use during events and functions. 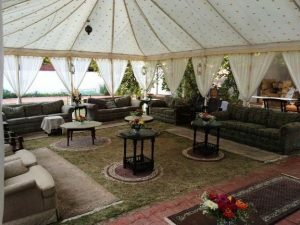 The beautiful Roman Style Outer Valance with printed borders and golden hanging tassels, the Sheer drapes that are tied around the side poles, give this Tent the rich look and grandeur to call it the King of Tents! 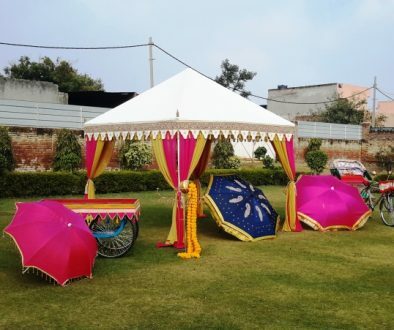 Our Maharaja Tents are made from the best quality heavy duty Canvas to make all our Indian Tents rain proof. 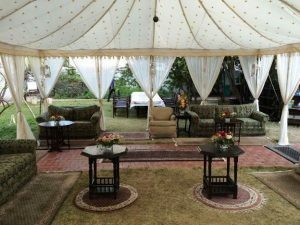 We generally use Sheer curtains with this tent, but alternatively, you can also buy Canvas Walls for this Raj Tent. 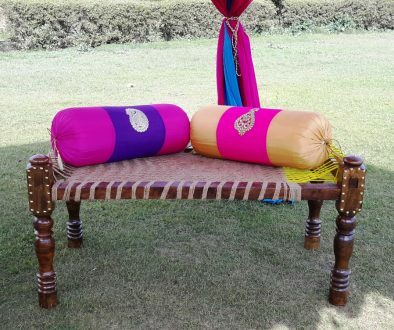 We also sell Tent Furniture to go with the interior. 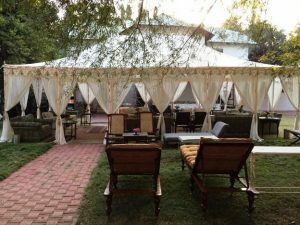 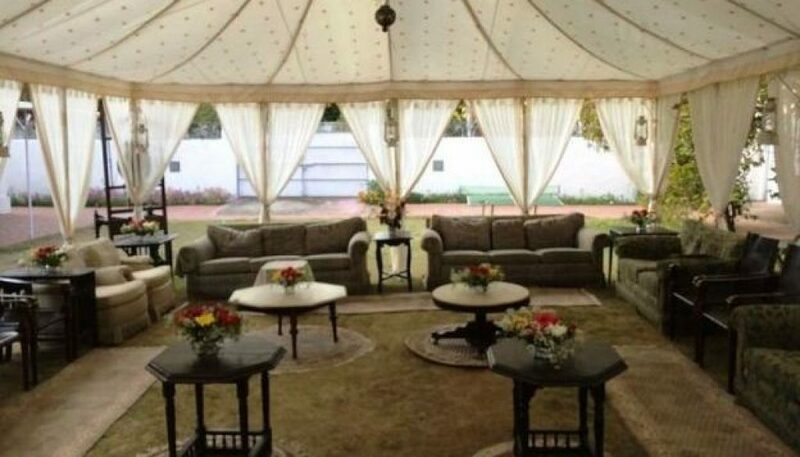 These Tents are also known as the Dining Tents, Indian Wedding Tents, Outdoor Party Tents and the White Canvas Tents. 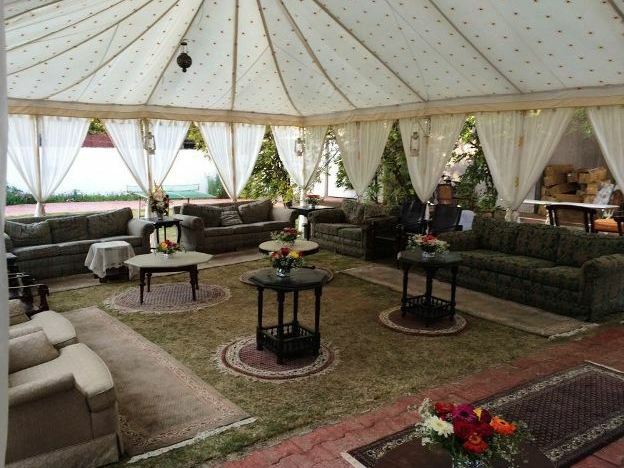 These Tents and Marquees can be used at Weddings, Product Launches, Private Party and Corporate Events.